Each week I look at the news from the week in order to highlight something interesting. With the holiday season upon us, I was hoping to find something nice to write about. Instead, Kitco’s story about the increasing sales of silver and a marketplace that is now moving is more concerning than positive. Precious metals are the investment of last resort. While some portfolios will diversify into metals for a safe haven, metals become active when there is uncertainty in the market. The trade wars between the United States and China have caused market players to reduce their risk by investing in silver. Although most prefer gold, silver has been the metal of choice for the Chinese for hundreds of years. It has been the benchmark of their trade and the basis for their monetary system prior to all countries moving off precious metals standards. It was the basis of trade that the United States thought would be resolved by creating the Trade Dollar coin in 1873. The rise in silver sales from the U.S. Mint is good in that it will increase seigniorage. It is not so good in that it indicates there is the potential for the markets to change course. Markets hate uncertainty and this could be their answer to the uncertainty brewing in trade between China and the United States. Why are we stubbornly holding on to a coin that is almost useless? 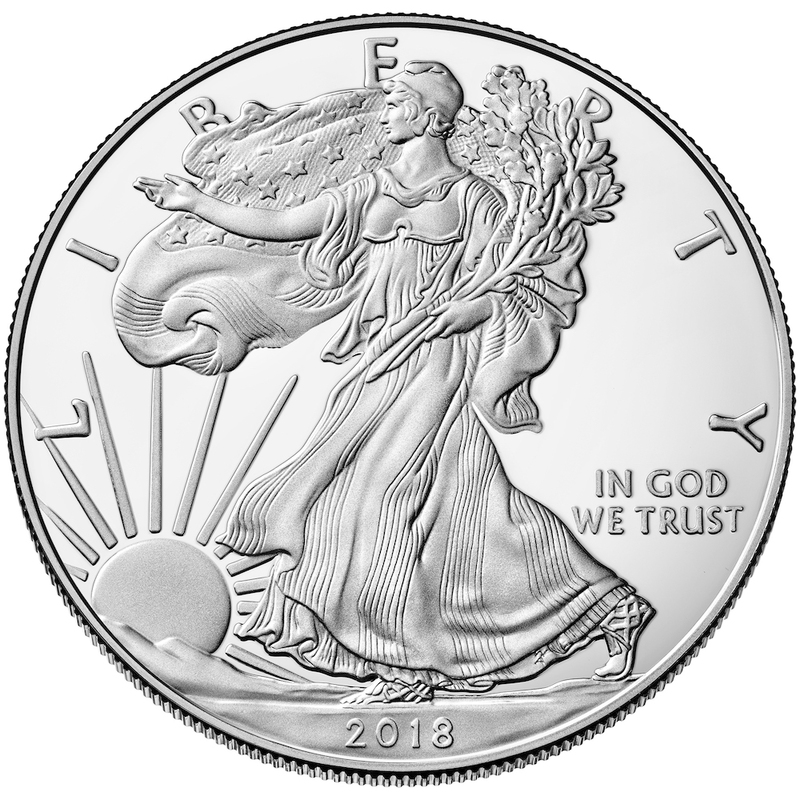 The American Silver Eagle program was created to provide a way for the United States government to sell off silver that was saved in the Defense National Stockpile. Following the Coinage Act of 1965 that removed silver United States coinage the amount of silver being used was building up a supply that far exceeded the needs for the national stockpile. Following several years of discussion that almost led to the bulk auction and sale of the silver, it was decided to use the silver to create a silver investment coin. The program was so successful that when the Defense National Stockpile was depleted in 2002, the original law was changed to continue the program by purchasing silver from U.S.-based mines at market prices to be used for future production. The obverse of the coin is the much-beloved design of that was used on the Walking Liberty Half-Dollar coin from 1916 to 1947. It was designed by Adolph A. Weinman, a former student of Augustus Saint-Gaudens. The reverse features a heraldic eagle using a design by John Mercanti who would become the 12th Chief Engraver of the U.S. Mint. Mercanti engraved both sides of the coin that including copying Weinman’s original design. Each coin contains one troy ounce (31.103 grams) of .999 fine silver with the balance of copper. American Silver Eagle coins are 40.6 mm (1.598 inches) in diameter and 2.98 mm (0.1173 inches) thick with reeded edges. The coins are assigned a face value of $1.00 to give them legal tender status. 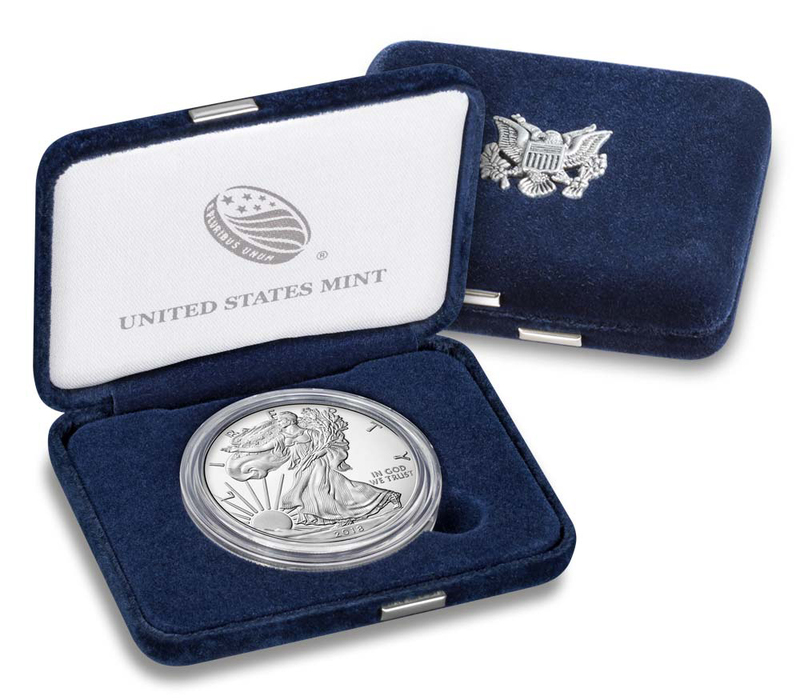 The American Silver Eagle program produces bullion and collectible coins. The bullion coins can be stuck at any branch mint but does not have a mintmark. Bullion coins are sold in bulk to special dealers who then sell it to retailers. They are struck for the investment market. Although some people do collect bullion coins there are not produced for the collector market. As with other investments, American Silver Eagle bullion coins are subject to taxes when sold. Please consult your financial advisor or tax professional for the tax implications for your situation. It is important to note that there have been attempts to determine where the bullion coins have been struck. Collectors have tried to use shipping records from the U.S. Mint, shipping labels, and other means to try to investigate the origin of the coins. Although some believe that these methods have identified some coins, the U.S. Mint has said that the shipping records that are being relied upon are not correct and do not reliably show the branch mint of origin. Collector coins are produced and sold by the U.S. Mint in specialty packaging directly to the public. Collectors can purchase new coins directly from the U.S. Mint and find these coins online. Collector American Silver Eagle coins are produced as proof and uncirculated coins. The U.S. Mint sells American Silver Eagle proof coins in a specially made capsule and that capsule is placed in a blue velvet-covered case. The case was distributed in a blue box with a Certificate of Authenticity. Beginning in 2006, the U.S. Mint has produced an uncirculated, business strike coin for the collector market. Most uncirculated American Silver Eagle collector coins are struck in West Point and bear the “W” mintmark. Following striking, the coins are then burnished, a process by treating the surface with fine particles to give the surface a smooth, satin finish. Collector versions of the American Silver Eagle are also placed in a capsule for sale to the public. Packaging has varied from year to year including special collectibles. When looking for collector American Silver Eagle coins, note that the American Silver Eagle proof coin was not struck in 2009 and the uncirculated burnished coins were not struck in 2009-2010. These years were skipped because the demand for bullion American Silver Eagle coins became higher than the available supply of silver planchets. To satisfy the demand, the U.S. Mint decided not to produce these collector coins. Collector American Silver Eagle coins can be purchased either in their original government package or graded. When searching for coins that are in their original government packaging on most online auction sites, it is recommended that you add “OGP” as part of the search. Collector American Silver Eagle coins may have been removed from its original government package in order to be sent to a third-party grading service for grading. Most of the time, the original government package may have been discarded. Some dealers will sell the package without the coin for a few dollars, but for collectors of graded coins, this is not a priority. In 2008, the U.S. Mint updated the reverse dies of the American Silver Eagle giving it a slightly different appearance. 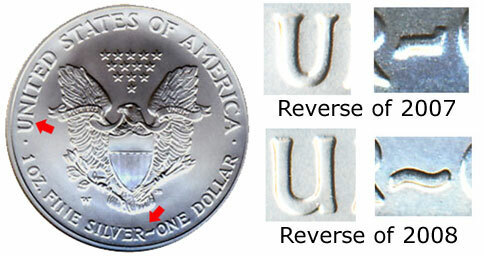 The reverse die was only supposed to be used on collector American Silver Eagle coins in 2008 before being used for bullion coins in 2009. However, as a result of the human factor required with operating the minting equipment at the West Point Mint, the reverse dies that were used for the 2007 American Silver Eagle coins were mated with 2008 collector coins creating a new variety for collectors. This is known as a 2008-W Silver Eagle Reverse of 2007 Variety. As part of the celebration of the 10th anniversary of the American Eagle program, the U.S. Mint created the 10th Anniversary American Eagle set. 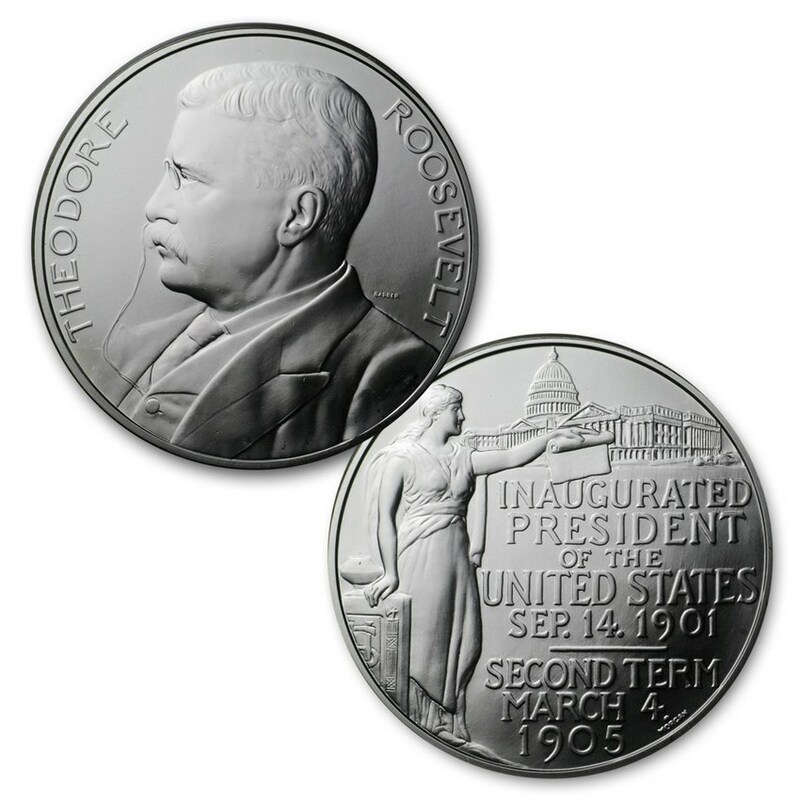 The set contained a 1995-W American Silver Eagle proof coin that was not made available to collectors not buying the set. Collectors wanting to purchase add the 1995-W American Silver Eagle proof coin to their collection had to purchase the entire five-coin set that included four American Gold Eagle proof coins ($5, $10, $25 and $50 gold American Eagles). The set was priced at $999 limiting the number of coins sold. Most of the sets have been split up to take advantage of the fluctuating metal prices. The gold coins have been sold while the gold prices rose since 1995, but the limited availability has caused the 1995-W American Silver Eagle to rise significantly on the secondary market. Cost to purchase this coin averages about $5,000, depending on the grade. Finding the entire set with the American Gold Eagle coins in their original government package can set you back $8,000 and higher. In 1993, the U.S. Mint offered The Philadelphia Set, which was issued to commemorate the 200th anniversary of the striking of the first official U.S. coins at the Philadelphia Mint. This special set included each of the Proof American Gold and Silver Eagles struck at the Philadelphia Mint and containing the “P” mint mark. The 1993-P Proof Silver Eagle was included in the set along with the one-half ounce, one-quarter ounce, and one-tenth ounce 1993-P Proof Gold Eagles. Also included was a silver Philadelphia Bicentennial Medal, which specially produced for this numismatic product. To mark the launch of the new American Platinum Eagle bullion and collector coin series, the US Mint offered the 1997 Impressions of Liberty Set. This set contained the one ounce 1997-W Proof Platinum Eagle, one ounce 1997-W Proof Gold Eagle, and one ounce 1997-P Proof Silver Eagle. Adding some special allure to the set, production was limited to just 5,000 units, which were individually numbered. The serial number for each set was engraved on a brass plate affixed to the wooden display case. In 2004, the U.S. Mint worked with the United Kingdom’s Royal Mint to create a numismatic product containing the silver bullion coins from each country. The Legacies of Freedom Set contained one 2003 American Silver Eagle bullion coin and one 2002 British Silver Britannia bullion coin. The two coins were placed in special packaging which highlighted the importance of the two national icons. To celebrate the 150th anniversary of the founding of the Bureau of Engraving and Printing and the 220th anniversary of the United States Mint the two bureaus joined together to release the 2012 Making American History Coin and Currency Set. The set contained a 2012-S American Silver Eagle Proof coin and a $5 note with a serial number beginning in “150”. As part of the 2016 Ronald Reagan Coin and Chronicles Set the U.S. Mint included a 2016 Proof American Silver Eagle along with a 2016 Ronald Reagan Presidential reverse proof dollar, and a Nancy Reagan Bronze Medal. To complete the set, it included a presidential portrait produced by the Bureau of Engraving and Printing and an informational booklet. To extend the product line, the U.S. Mint began to create special annual issue sets to entice people to collect U.S. Mint products. The first annual set containing an American Silver Eagle coin was the Annual Uncirculated Dollar Coin Set. First offered in 2007, the set includes the issued uncirculated Presidential dollar coins, an uncirculated Native American dollar coin, and an uncirculated American Silver Eagle. Since the Presidential Dollar Program ended in 2016, it is unclear whether the U.S. Mint will issue the set in 2017. 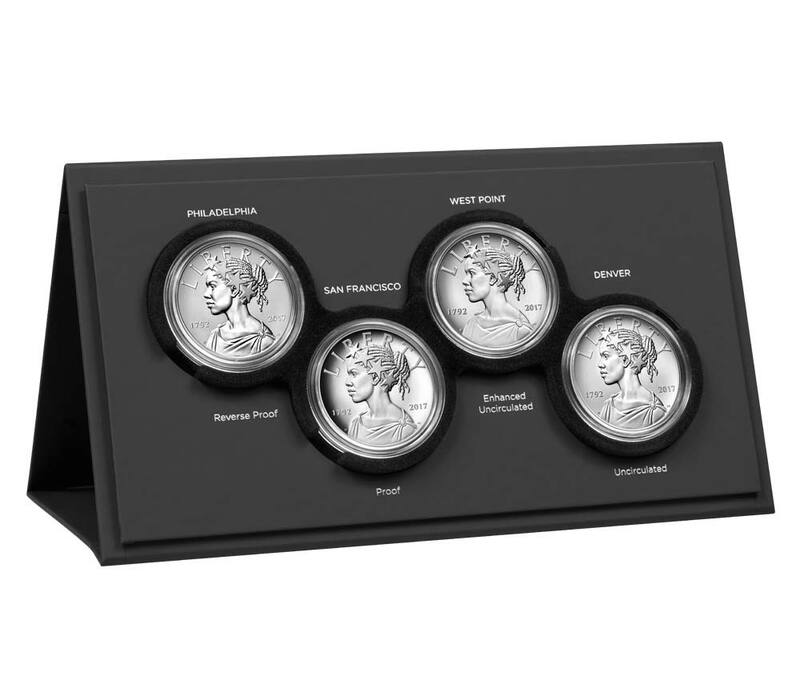 Since 2012, the U.S. Mint has been producing the Limited Edition Silver Proof Set that contains 90% silver versions of the year’s five America the Beautiful Quarters, Kennedy Half Dollar, and Roosevelt Dime, along with the standard annual Proof American Silver Eagle. Sets are limited to 50,000 units annually. Starting in 2013, the U.S. Mint has been producing the Congratulations Set as part of a new line of products targeted towards gift giving occasions. 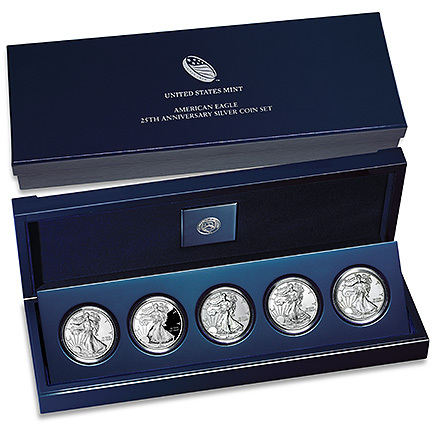 The This set included the standard annual Proof Silver Eagle within specially designed packaging which allowed a personalized message to be written the recipient. Since the American Eagle Program has been one of the most successful programs in the history of the U.S. Mint, they have used its popularity to extend the product line. Aside from celebrating the anniversary of the program, the U.S. Mint has produced anniversary sets to celebrate Mint facilities. 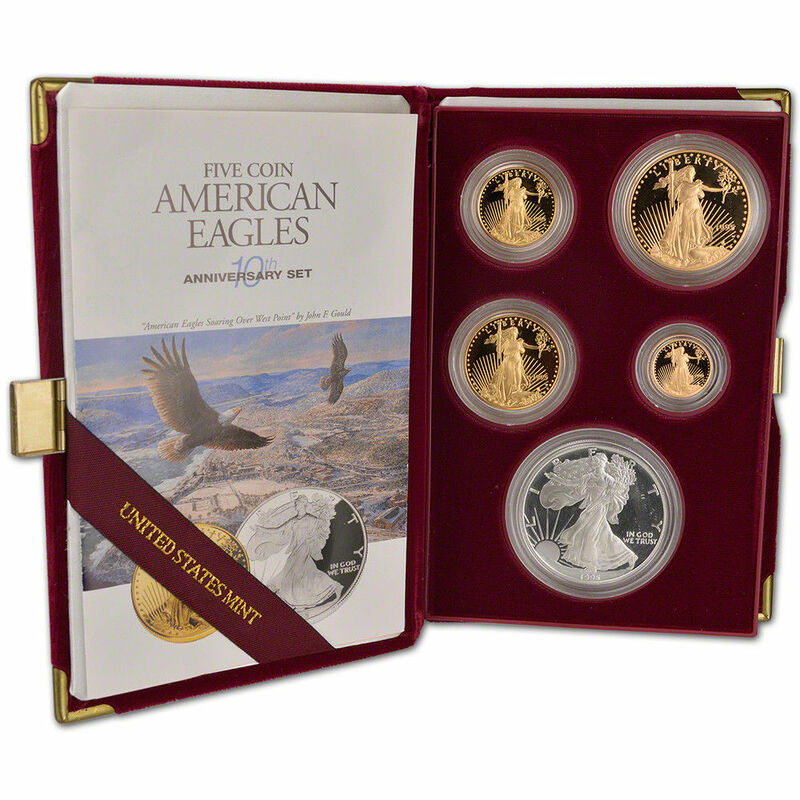 1995 American Eagle 10th Anniversary Set included a 1995-W American Silver Eagle Proof coin and four American Gold Eagle coins. 2006 20th Anniversary American Silver Eagle Set was a special three-coin box set included a 2006-W American Silver Eagle with a burnished (satin) finish, a 2006-W American Silver Eagle Proof coin, and a 2006-P American Silver Eagle Reverse Proof coin. 2012 American Eagle San Francisco Two Coin Silver Proof Set was issued to celebrate the 75th anniversary of the current San Francisco Mint. The set included a 2012-S American Silver Eagle Proof coin and a 2012-S American Silver Eagle Reverse Proof Coin. 2013 West Point American Silver Eagle Set was issued to celebrate the 75th anniversary of the facility in West Point, New York. The set included a 2013-W American Silver Eagle Reverse Proof coin and a 2013-W American Silver Eagle Enhanced Uncirculated coin. This was a popular set since it was the first appearance of the Enhanced Uncirculated finishing process. Although the U.S. Mint did not issue a set to celebrate the 30th Anniversary of the American Silver Eagle in 2016, the collector issues of the coins were issued with special edge lettering. Rather than the edge being reeded it was smooth with “30TH ANNIVERSARY” struck into the edge. Both the proof and burnished uncirculated coins were produced at West Point include the “W” mintmark and the edge lettering. When the U.S. Mint sells bullion coins to their authorized resellers, the coins are packaged in 20-coin hard plastic rolls and 25 rolls are placed in a specially designed box that contains 500 troy ounces of silver. Because the box is green in color and sealed by the U.S. Mint, the package is nicknamed the Green Monster Box. Resellers sell Green Monster Boxes with the intent of selling to investors. They also sell complete rolls from the Monster Box. Sealed Green Monster Boxes have the benefit of being unsearched and unhandled since leaving the U.S. Mint. Additionally, the cost per coin is usually the lowest available since the coins are being purchased in bulk. These boxes are usually offered for sale by bullion dealers at a small premium over the current market (spot) price of silver. In the next installment, we look at the American Gold Eagle coins. All images courtesy of the U.S. Mint unless otherwise noted. One of the reasons why I continue to search through my change every day is because there will always be something cool to find. After coming home from a long day setting up my new store, I emptied my pockets so that I could wash the jeans I was wearing. As I dumped the change on my dresser there was a different but distinct sound. It is the sound that could have only been made by a silver coin. It was a day where I made two trips to a local home improvement and office supply stores. I paid using cash for all of these trips. As a side note for those who have not quite reached the age that you can join the AARP, some of us still use cash. Other than for security of my personal information (remember, I used to be in the information security business), it allows me to collect change that I can search for something cool. Flipping the coins over I was looking for that distinctive gray of a worn silver coin. Then it appeared. A well-traveled 1952 Washington Quarter. It’s worn, has some rim dings, the rim on the reverse is flattened to where it is bleeding into the letters, but it is something you usually do not find in change. It is not worth much as a collectible but it has about $2.95 worth of silver. It was announced that the Royal Canadian Mint was issuing a silver Canadian dollar commemorating the 180th Anniversary of Baseball in Canada. Being a baseball fan, I went to the Royal Canadian Mint’s website to see if the coin was worth adding to my collection. The came sticker shock! The coin is convex, similar to the 2014 Baseball Hall of Fame commemorative coins issued by the U.S. Mint. But that is where the similarities end. The reverse of the Canadian coin features a vintage baseball scene reminiscent of the 19th century inside a baseball-looking design. The obverse has the portrait of Queen Elizabeth II. It has a face value of $25 CDN. 10p coin: What are the Royal Mint’s new 10p A to Z coins? What does each letter mean? A few weeks ago, the U.S. Mint announced to the Citizens Coinage Advisory Committee that they would be producing silver medals based on the design of previous presidential medals. These medals would be struck using the same .999 silver planchets that are used for the American Silver Eagle coins. The U.S. Mint thinks that the silver medals would be a popular seller since silver coinage sells well. Using existing designs, the U.S. Mint hopes to be able to save time and money by removing the process of creating new images and not having to undergo the onerous review process of the CCAC and the U.S. Commission of Fine Arts. I think the U.S. Mint is missing a point. Collecting commemorative silver and American Silver Eagle coins have the cache of being legal tender coins. Although there are some very dedicated collectors of medals and other exonumia, the vast majority numismatics collectors are collecting legal tender coins. If you look at the offering of some of the most prolific world mints like the Royal Canadian Mint, New Zealand Mint, and the Perth Mint, they offer a wide variety of offerings as legal tender coins. Countries like Niue and Somalia contract with other world mints to produce non-circulating legal tender (NCLT) coins to sell to the public. Many of these programs are a success because they are legal tender coins. It is a mindset that the coins are worth more because they are legal tender. Even coins advertised as being legal tender from Native American Nations (tribes) gain attention. People are drawn to the concept of collecting and/or investing in real money. Although it sounds like a harsh assessment of the concept, the only downside that can be foreseen is if the U.S. Mint faces a planchet shortage like it did in 2009. Otherwise, I am not sure it will sell like I think the U.S. Mint is portraying. One way to make collecting more fun is to combine interests. One of the members of my local coin club loves cats and has always had one around his house. To help enhance his collecting experience, he collects coins, medals, and tokens with images of cats. I recently learned that the family of another club member was from Rhodesia. He is working on a collection of Rhodesian coins from before they became Zimbabwe. Just to complete a thought, a friend’s family came to the United States and 1876 from Eastern Europe. After he traced his family’s history and their path to the United States, he collects coins that were struck in 1876 from the countries his family stopped in during their trip. My interest is cars. I love the muscle cars of my youth, particular the Mopar muscle. But I love all of the older cars. I think that their designs through the muscle car era had depth and style. Other than the 1959 Cadillac with the biggest fins ever produced in Detroit, I find the Art Deco look of the pre-war cars very appealing. Recently, I was able to add to my cars and numismatics collection by finding one gram silver ingots with images of vintage cars. 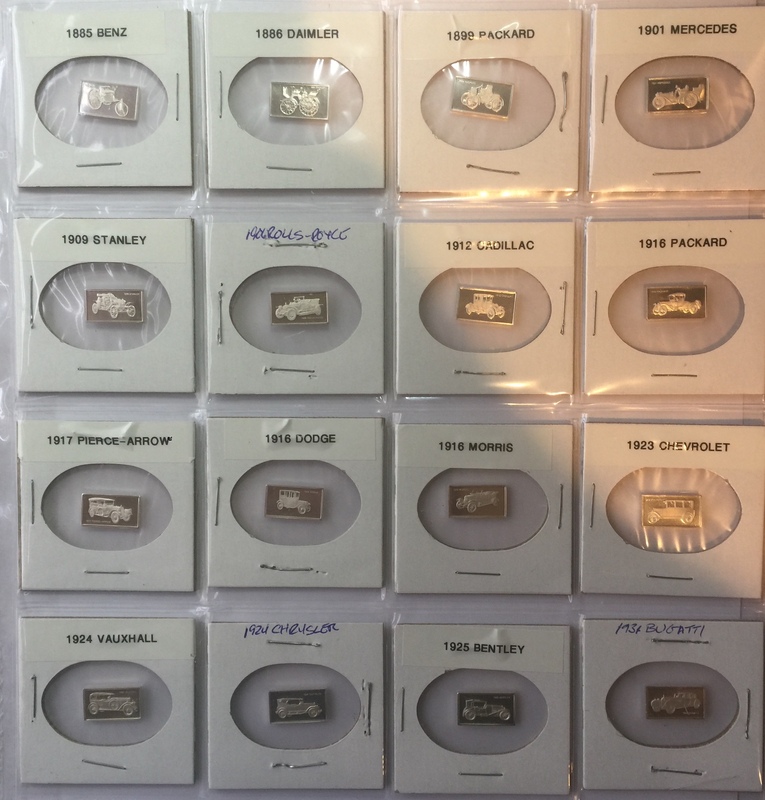 While searching online auctions looking for holiday-related one grams silver ingots to use as gifts, I stumbled across a seller with about two dozen of the ingots with images of classic cars including an 1879 Benz, largely considered the first commercially available automobile. I systematically placed a minimum bid on each of the ingots and decided not to pay any more than one dollar per ingot. When the auctions were over, I won 16 of the 24 that were for sale. When they arrived, I examined them closely looking for something to indicate who might have made them. Aside from the image of the automobile on the front and the manufacturer on the reverse, there is a sequence number and a copyright that says “476” on the bottom right. The numbers are so small that I needed a 16x loupe to see them. Each ingot contains 1 gram of .999 silver. At the current price of $16.99 per Troy ounce, each ingot contains 55-cents worth of silver. Since I paid 99-cents for each ingot I think I did pretty well on this deal. They will fit nicely with my Somalia classic cars and motorcycle coins. If anyone has information as to who created these ingots, please comment below or contact me with the information. The Royal Canadian Mint has created two unique coins they call “Nocturnal by Nature” that would fit the theme of Halloween. What makes them interesting is that the fields and some of the devices are plated with black rhodium to create a darkened look. The first coin’s reverse, which is sold out, features a barn owl (Tyto alba) descending upon its prey. The view is looking up as the owl descends toward the night sky. 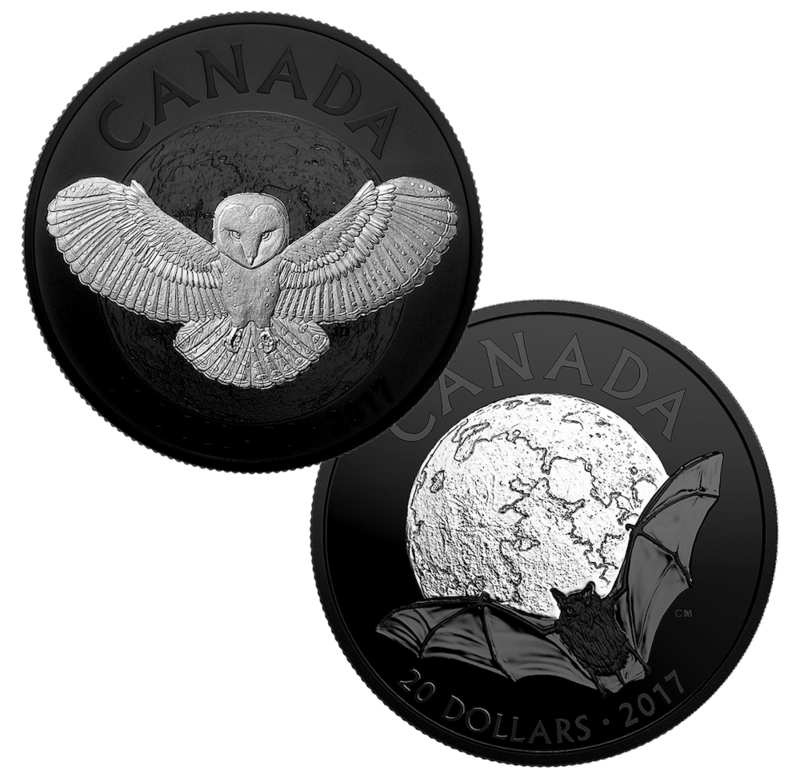 The second coin’s reverse has an image of a brown bat, darkened by night with its silhouette as it crosses passed the moon overhead. As with all Canadian coins, the obverse features the official Royal Canadian Mint portrait of HM Queen Elizabeth II. The fields and legends are also plated with black rhodium that will make the Queen’s portrait really stand out. Each coin is one troy ounce of .9999 silver, has serrated (reeded) edges, is 38 mm in diameter, and weighs 31.39 grams. Both coins have a face value of 20 dollars. The Royal Canadian Mint classifies the finish as matte proof. Mintage is limited to 7,000 for each coin. The single barn owl coin appears to be sold out on the Royal Canadian Mint website but looks like it can be purchased as part of their subscription program. The price is listed at $119.95 CAD ($93.55 USD as I type this) for each coin with free shipping to Canada and the United States. It may be too late for Halloween but they look very interesting! All images courtesy of the Royal Canadian Mint.